Loosely defined, African Americans are people whose ancestral heritage is tied to Africa as well as America. Despite the fact that African Americans have been suppressed in every possible way for many centuries, they have a rich culture and history. A lot of famous African Americans have made their mark in diverse fields such as music, sports, movies, theatre and world politics. Slavery was rife in the 18th and 19th centuries and black people were treated as nothing more than mere possessions. Although in the 20th century slavery was officially outlawed, the unjust treatment of African Americans was far from over. With the advancement of the Civil Rights Movement, led by leaders such as well-known African Americans like Martin Luther King Jr., Booker T. Washington and Rosa Parks, the Civil Rights Act was adopted in 1964. Many Southern States continued to treat blacks as second class citizens by adopting the “Jim Crow” laws which required blacks to eat at separate restaurants, study at separate schools and use separate transportation. This mindset took a long time to change, and it was only by the end of the 20th century that African Americans began to gain an equal footing in society. One of the fields that famous African Americans have contributed to the most is sports. From famous boxers such as Muhammad Ali, Mike Tyson and Evander Holyfield, to the tennis duo Venus and Serena Williams, golf legend Tiger Woods, baseball players such as Jackie Robinson, endless list of NBA players such as Michael Jordan, Magic Johnson, LeBron James, Shaquille O’Neal, Kobe Bryant – the list goes on and on. In the music industry too, African Americans have dominated the scene. Artists such as Jimi Hendrix, Beyoncé, Jay-Z, Tupac Shakur, The Notorious B.I.G., Missy Elliott, Ella Fitzgerald, Billie Holiday, Louis Armstrong, Diana Ross, Marvin Gaye, Whitney Houston, Aretha Franklin, B.B. King and numerous others showcase a range of talent that is both diverse and impressive. Notable African American actors, in both movies and theatre have made their mark as well. World renowned actors and directors such as Martin Lawrence, Morgan Freeman, Spike Lee, Sidney Poitier, Laurence Fishburne and Denzel Washington are paid millions of dollars for their work. One of the top entertainers today is Oprah Winfrey, who came from extremely humble beginnings, but is now an inspiration for millions of women worldwide and owns a multi-billion dollar television network. 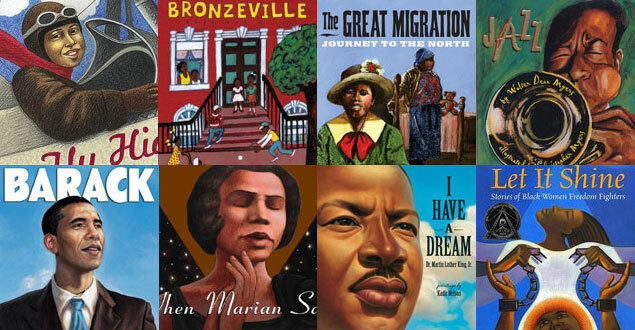 African Americans are also active in the field of literary activism and politics. Renowned poets and writers such as Maya Angelou and Zora Neale Hurst are foremost names that come to mind. The current president of the United States, Barrack Obama is also African American, as well as the first lady of the United States, Michelle Obama. Today African American cultural influence is pervasive, with their representation in media, sports, entertainment, politics and society being on the rise. However, because of centuries of under representation, they still lag behind culturally and socially in many aspects of society.